The dark times keep on getting darker. On Sunday, the Washington Wizards lost to the Portland Trail Blazers 119-109. While the score may look close, it really was not. One thing that was very evident to Wizards fans was that Thomas Bryant and Troy Brown deserve extended minutes. This team depended on a heavy bench unit to make a comeback and it almost worked. Here are some of the main observations from tonight’s game. Add Troy Brown to this list too. Both of these guys helped spark life into the Wizards. Thomas Bryant had six points, grabbed two rebounds and dished out 3 assists in five minutes of play. He probably did more tonight than either Ian Mahimni or Jason Smith have done all season. However, it is very clear that Scott Brooks knows who his guys are. While it may be a good idea for Troy Brown and Thomas Bryant to get extended minutes, Scott Brooks will not do it. In the second quarter, Dwight Howard left the game with a Wizards trainer. 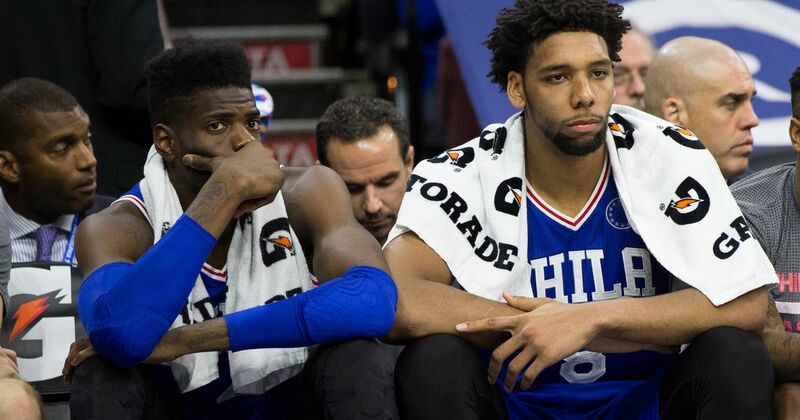 Before the game, Howard had in trouble sitting down and putting on his socks. He finished with two points and three rebounds in seven minutes of play. Howard did not return to the game following the buttocks injury. If there was one positive from tonight’s game, it was the play of the bench. 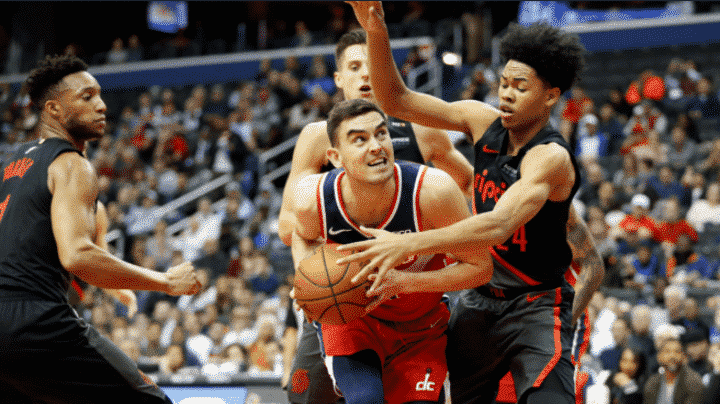 No particular player really balled out, but the energy and effort from the second unit helped give the Wizards life on a night when most of their teammates did not have much of that. The bench helped Washington get back into the game on multiple occasions. They helped key a 13-0 run to end the first quarter and trimmed the game down to single digits when most fans thought the game was out of hand. Two key contributors from the bench were Kelly Oubre and Tomas Satoransky. Oubre finished with 19 points, four assists, four rebounds, and three blocks. He was +14. Satoransky had 10 points, seven assists and was +22. However, it was not enough. If Brooks wants some more energy from his team, those two could provide it.